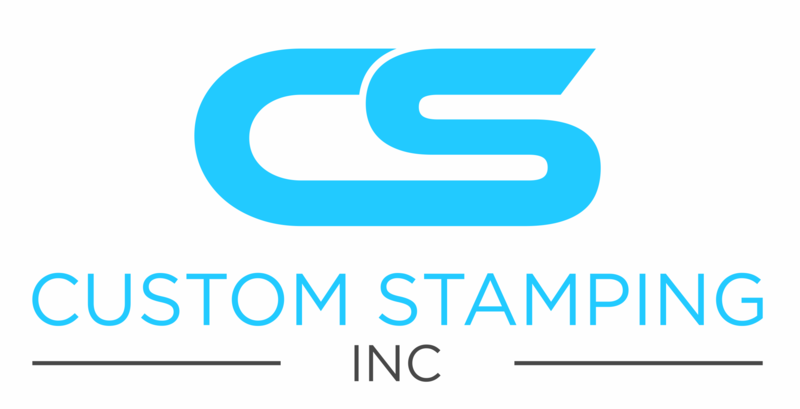 Products – Custom Stamping Inc. Interested in Receiving our Catalog? Complete our catalog request form & we will send you the required password & instructions on how to access our catalog. From our extensive catalog, you can choose from hundreds of quality standard products with multiple complex forms. All standard products are readily available without any tooling changes and with an added advantage of short lead times. This is our most common request. Our second most common request is for engineering personnel to make minor modifications to our standard products to satisfy specific needs. This is easily accomplished and reduces tooling costs and lead times significantly. As with all our products, we have an eye for detail and cost efficiency. What sets Custom Stamping apart from our competitors is the value we place on our customers input, and the value we deliver through quality and efficiency. We are extremely proud of the specialized stampings we produce and our ever growing family of customers. The precise integration of design, engineering, tooling, quality control and production, in concert with our attention to detail and the needs of our customers, drives our understanding and vision to go from idea to quality finished product. This brings you superior designs, top quality stampings, and the value you demand and we deliver. At Custom Stamping we take quality control very seriously. Production parts are automatically inspected at regular intervals by our touchless measuring technology that ensures quality down to one ten thousandth of an inch. The integrated computer system relays the results to a monitor at each press station. The program highlights in color any dimension that may be drifting off nominal. The highly qualified press operator can then make minor adjustments, which are designed and built into tooling. This sophisticated system allows Custom Stamping to produce the most consistent and reliable stampings possible. Custom Stamping is ISO 9001:2008 Registered. The ISO (International Organization for Standardization) standards are applied in more than 140 countries around the world. Through this registration process, Custom Stamping has proven its dedication to continuous excellence through consistent implementation of the best practices and procedures across all product lines. ISO 9001:2008 registration is another tangible symbol of Custom Stamping’s commitment to quality products. The discipline required to meet this demanding standard maintains the quality bar and establishes company-wide process consistency. This recognition provides a framework ensuring that our high quality standards continue as a foundation to our products. You can always be assured that Custom Stamping will provide you with the highest quality stampings. Quality stampings start with superior designs. We take immense pride in the fact that we’re more than just a stamping company. We are a technologically advanced, precision stamping facility with the understanding and vision to go from idea to quality finished product. Our experienced design team meticulously creates well-engineered plans to meet your exact specifications, developing the most cost-effective designs possible. Once the design is complete, it moves on to the toolroom. Each diemaker, with 8,000 hours of training in our apprentice program, possesses the craftsmanship, knowledge, and skills to help build the most efficiently designed dies for your projects. We are constantly striving for even more efficient ways to ensure that we deliver the high quality that we promise – on time. Electrical Discharge Machining, a state-of-the-art technology used for the rapid development of prototype samples and production tooling adds to Custom Stamping’s competitive advantage. The use of EDM demonstrates our longstanding commitment to placing leading-edge technology in the hands of our craftsmen. There are two elements in our formula for success: the most qualified, well trained personnel and the best that technology has to offer. Our pressroom houses 36 fully automated high-speed Bruderer stamping presses ranging from 25 to 75 tons, managed by highly experienced operators. Quality stampings result from superior designs, executed by the most qualified well-trained personnel, and utilizing the most innovative technology, with on time delivery.